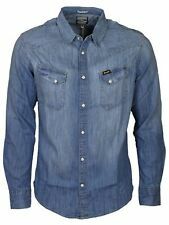 Mantaray mens shirt medium NWT. My husband is having a massive clear out so happy to combine postage. From a smoke free home. A Trespass classic in a style and a pattern that stands out from the crowd. 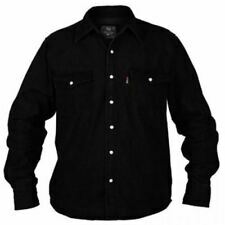 We all know of Trespass Clothing who specialize in the tough walking / hiking clothing. Hawaiian Shirt. Here they have turned their talent for quality and style into a casual Hawaiian shirt that will stand out from the crowd, showing style and quality in this casual shirt. NEW STYLE 2018!!! LIMITED STOCK! PINEAPPLE PRINT!! mens hawaiian shirt medium. Condition is Used. Dispatched with Royal Mail 1st Class. 15+ DESIGNS - BRAND NEW - FIRST CLASS DELIVERY S-XXXL! Love that lily print. Quality item. Short sleeved shirt. Quality cotton. NO STAINED ON THE ARMPITS, NO OMBRE FADE IN FABRIC. I am trying to do my best for you but may not get it exactly right 100%?. Worn once for a beach party. Armpit to armpit laid flat across the front 26”. Blue with fish designs. Length 33”. MENS SHORT SLEEVE MANTARAY SHIRT XXXL In great condition. Condition is Used. Dispatched with Royal Mail 1st Class. Really cool and very good looking Pretty Green Beatles Retro Fish Print Short Sleeve Hawaiian Shirt in very good used condition as per photos. It is from the Pretty Green Beatles inspired range, in white with a cool retro style fish print, in multi colours, based on Yellow Submarine. XXL 27" PIT TO PIT. F&F men shirt size L, pineapples patterned. Condition is Used. Dispatched with Other 48h Courier. Unworn so in perfect condition. Vans Shirt Short Sleeve Hawaiian Tropical Medium. In very good used condition, hardly been worn so like new, no marks, tears or frays. It’s just too small for me. Sent with signed for delivery. 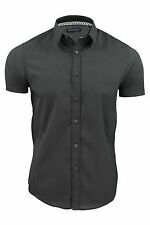 NEXT Mens Resort Wear Hawaiian Tiki Surf Laundered shirt large 44 chest bnwot. Whether you want to look dapper in warmer climes, or need a Hawaiian shirt as a statement piece for a particular party outfit, the top tip is to think about how you wear it. Matching it with a plain short or trouser is a great failsafe, and you can do this by coordinating the tone of your bottom half to the accent colour in your shirt. 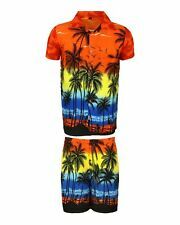 You can find Hawaiian shirts in 100% cotton, silk, polyester and other materials, so depending on your preference and budget, there's something for everyone. 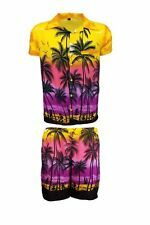 Some top, iconic brands have a collection of trendy Hawaiian shorts for a big night out. 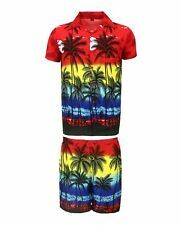 To give you some inspiration, items include silk Tommy Bahama shirts with New York Yankee logos, Summa Aloha shirts in a silk blend and surfing designs on Ocean Pacific shirts. 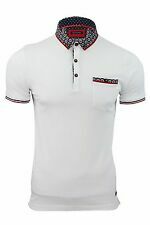 There are also versions from online retailers like TrueFace with short sleeves and Hawaiian prints and 100% cotton fashion shirts for those serious about their style. Stag dos and parties are another reason for investing in a Hawaiian shirt. 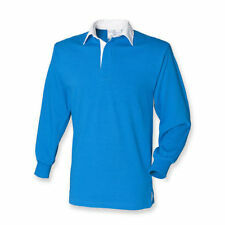 If you only intend to wear it once and save some money, checking out used items can help you do just that. Just take a good look at the seller's description to make sure the defect is one you're happy paying for. 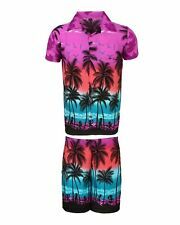 On the other hand, if you'd prefer to buy new, examples of new products include affordable fancy dress Hawaiian shirts especially for parties and stag dos. You can find a bargain on used Hawaiian shirts, as well as uncovering some more unusual designs and brands. It's also important to read through the item's description in these cases, to see what condition they're in before making a purchase. You'll find products like Mambo Hawaiian shirts with slight wear and tear, vintage 1980's shirts in mint condition, and plain black Tommy Bahama silk shirts.